MOTHER vs. DAUGHTER - Who's prettier: Rosella または Marissa? Who do あなた think deserves to be a princess the most? Which Rayla do あなた prefer? Which Hadley do あなた like best? Which Blair do あなた prefer? 1. Clara. She's the Sugarplum Princess. 2. Rapunzel. She's the princess of King Wilhelm's kingdom because she's his daughter and later also of King Frederick's, since she marries Prince Stefan. 3. Odette. 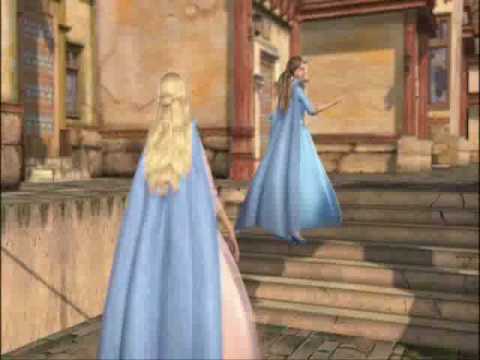 She becomes princess of her kingdom in the end of the movie because she marries Prince Daniel. 4. Anneliese. She's princess from birth of her kingdom, which name is unknown. 5. Erika. She's always considered a princess, though she's actually the クイーン of Dulcinea because she marries King Dominick.